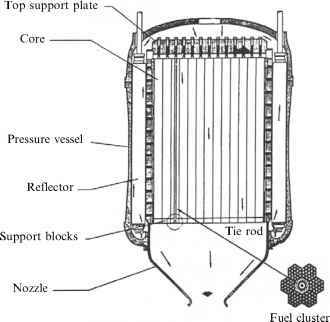 The plasma responsible for thrust in rockets based on mirror MCF is controlled by B fields, as mentioned in Section 8.9. At a B of the order of a few tesla, gyration radius may be of the order 1 cm, and overall plasma cross-section ("bottle" cross-sectional area) is determined by the mass flow-rate to obtain a certain thrust. In sizing an MCF fusion chamber the next question is, what is the length of the mirror "bottle". An accurate estimate involves much calculating and assuming, but a quick answer for estimating purposes only may be obtained by noticing that the length, L, of the bottle, or of the torus radius in the case of a tokamak, is, once more, ruled by the need to contain plasma for a time sufficiently long for fusion to start and self-sustain.